The Prince George's County Fire/Emergency Medical Services (EMS) Department recently held graduation for two classes of recruits. Career Recruit Schools 54 and 55 had a combined total of 54 students that received their certificates of completion at a ceremony held at Wise High School in Upper Marlboro, MD on February 21, 2018. Speakers included County Executive Rushern Baker III, County Council Chair Dannielle Glaros and Fire Chief Benjamin M. Barksdale. The Keynote Speaker was fire service icon Chief Billy Goldfeder. Congratulations to all graduates and best wishes for a long and healthy career!!! 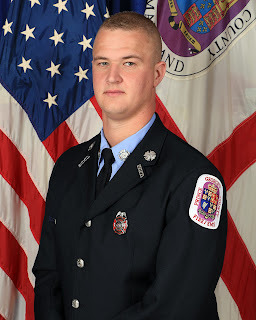 The Fire Suppression Scholastic Achievement Award is presented to an individual in each Career Recruit School who achieved the highest academic average on the fire suppression written and practical examinations. 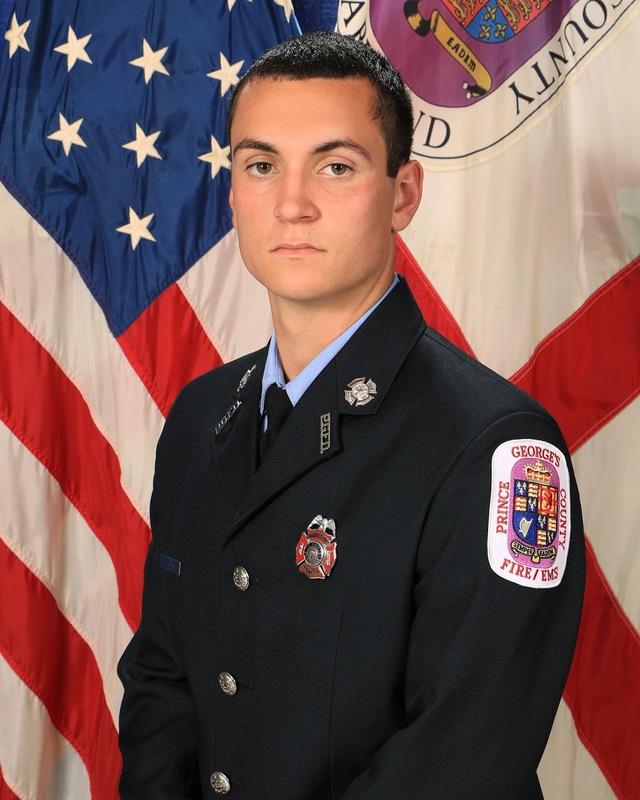 The Emergency Medical Service Scholastic Achievement Award is presented to an individual in Career Recruit School who achieved the highest academic average on the Emergency Medical Service Scholastic written and practical examinations. The Instructor’s Award is presented to an individual in each Career Recruit School who has shown the highest level of personal improvement, development, and dedication during the class. In short, we identify the individual who has contributed significantly to the success of the class overall either by helping others or through self-improvement. The individual earning this award can be one with no previous experience in emergency services and progresses to an outstanding level of proficiency; or an experienced person who dedicates him or herself to assisting other class members be successful throughout Career Recruit School. The Memorial Award is a very special recognition presented to an outstanding individual from each Career Recruit School who has displayed that rarest combination of professionalism, courage, and "espirit de corps." 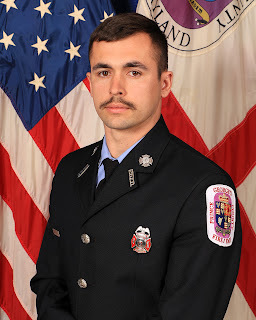 Such traits serve to honor their fallen comrades, and uphold the highest traditions of the Prince George’s County Fire/Emergency Medical Services Department. The Fire Chief's Award is the highest recognition for Career Recruit Schools. This award is bestowed on an individual in recognition of achievements that have made significant contributions to the graduating class. Selection criteria emphasize leadership, professional development, integrity, performance, and personal growth. This award is given to the individual who best exemplifies the conduct required of the Prince George’s County Fire/EMS Department. 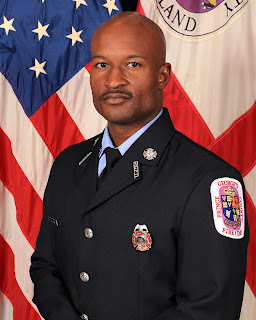 Prince George's County Fire Chief Benjamin M. Barksdale awarded several Firefighter/Medics this morning for their actions in rescuing three children from their burning house. On the morning of Sunday, October 29, 2017, Public Safety Communications alerted units to a house fire with the report of trapped occupants. While in route, additional information was received indicating that the exact location of the trapped occupants was not known. Upon arrival on the scene, crews from Station 829 encountered a two-story, wood frame dwelling with smoke showing from all sides. A hose line was advanced by Engine 829 and firefighters proceeded upstairs to search for the reportedly trapped victims. The fire was quickly located as the crew from Engine 829 separated to search for victims. Within minutes, the fire was extinguished and three victims were located, rescued and revived. All of the victims have since made a full recovery from their injuries. Fire Chief Barksdale visited the Silver Hill Fire/EMS Station and met with the crews and presented personnel with an Emergency Services Award. "Your quick thinking and immediate action on the scene of this incident are commendable and worthy of recognition. The heroic efforts you demonstrated are directly responsible for preventing a potentially tragic outcome," stated Barksdale. "Therefore, you are hereby awarded a Fire/EMS Department Emergency Services Award. Your actions reflect well on you personally and professionally and exemplify the excellent caliber of service we strive to provide always, in every circumstance." 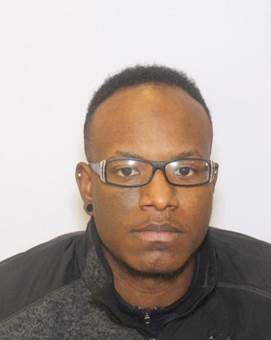 On February 13, 2018, A 19 year old Prince George’s County resident and volunteer firefighter, Mr. Tyree Torney, was arrested for allegedly entering Suitland High School on February 12, 2018, and starting a fire. Suitland High School was occupied by various teachers and support staff at the time of the fire. 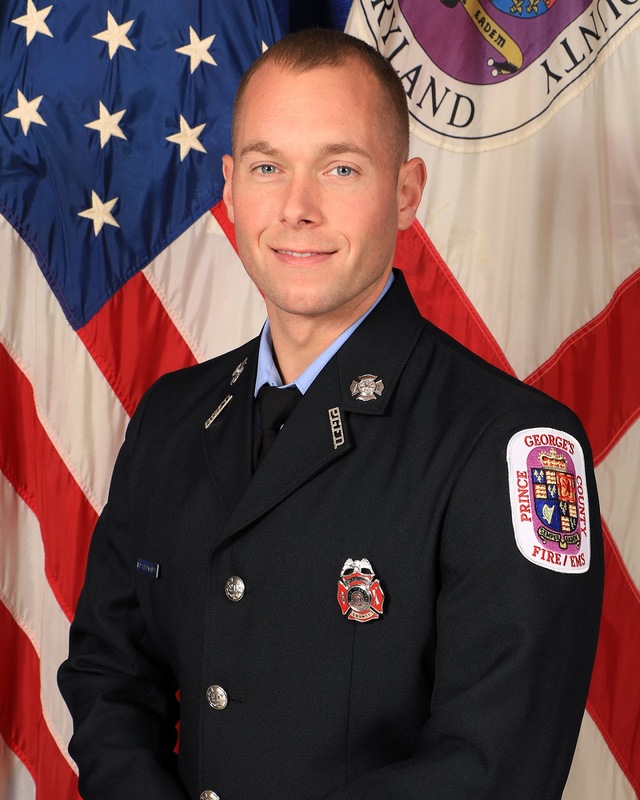 This incident was investigated by Fire Investigators from the Prince George’s County Office of the Fire Marshal and the Prince George’s County Police Department’s Arson Task Force. During the course of the investigation, Mr. Torney admitted to his involvement in other incidents highlighted below. His initial volunteer firefighter application was submitted on February 5, 2017, and Mr. Torney was currently a probationary member of the Glenn Dale Volunteer Fire Association (Co. 818). Torney has been removed from all affiliations and operations with the Fire/EMS Department. 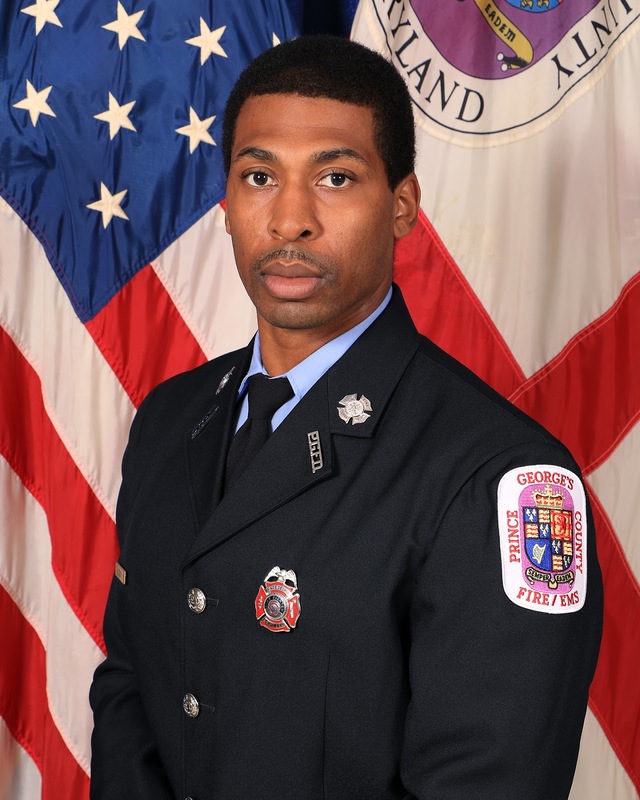 All media inquiries are being handled by the Prince George’s County Fire/EMS Department. 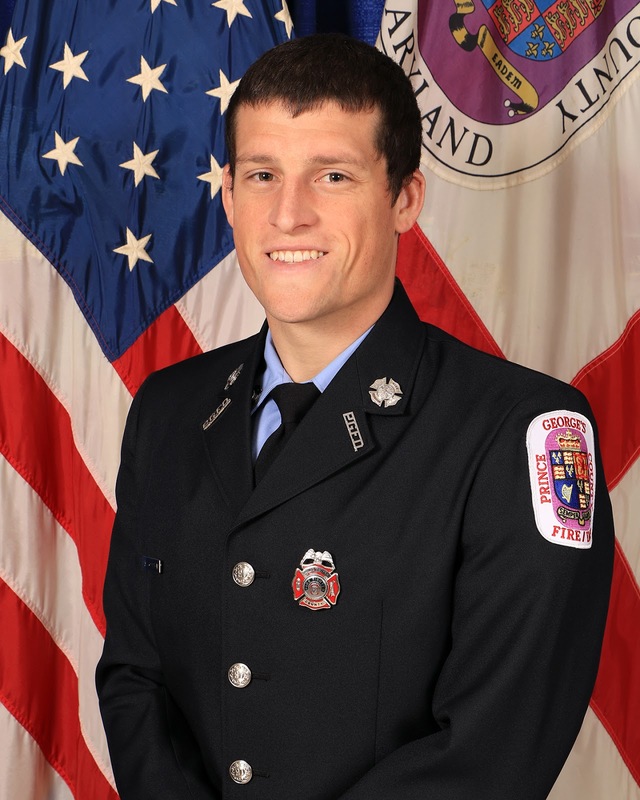 Correction made on 2-20-2018 correcting the name of the Glenn Dale Fire Association. 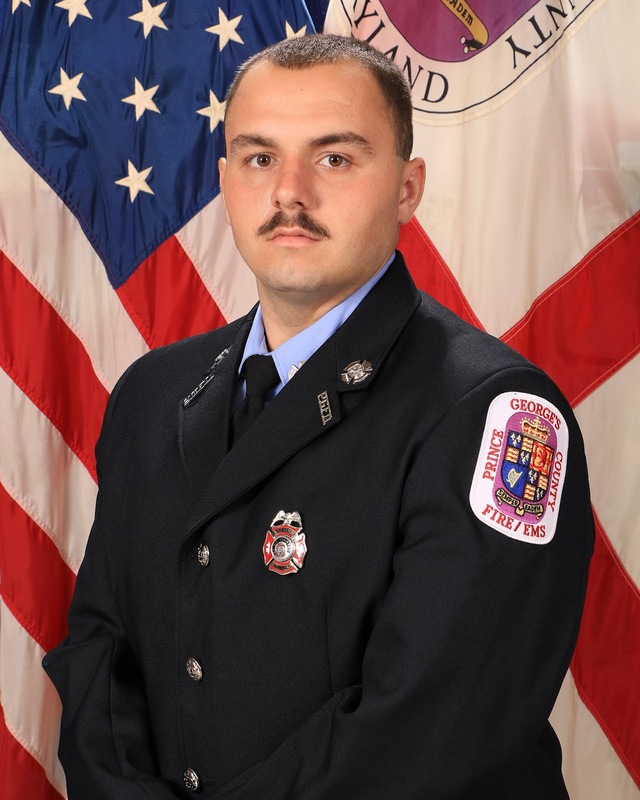 A female occupant of a District Heights townhouse died after being rescued by firefighters on Sunday night. Just after 11:00 pm, Sunday, February 11, Prince Georges County Firefighter/Medics were alerted to a townhouse fire in the 6000 block of North Hil Mar Circle. Public Safety Communications obtained information from the initial 911 caller that someone was trapped inside. Dispatchers relayed this information to responding firefighters. Fire and EMS units arrived at the 2-story townhouse to find fire showing from the rear and immediately started a search for the trapped occupant as well as advanced hose lines inside to extinguish the fire. An adult female was located on the 2nd floor by firefighters and brought outside to awaiting medics. Immediate treatment on the patient was initiated and transported to a nearby hospital. Tragically the patient was pronounced deceased a short time after arriving at the hospital. No other civilian or firefighter injuries were reported. The fire was extinguished in about 15 minutes. The cause of the fire is under investigation. As with any incident that involves a potential fire fatality the County Police Homicide Unit will jointly investigate with fire investigators until a cause of death and cause and origin of the fire have been determined. No working smoke alarms were found inside the townhouse. Fire loss is estimated at $80,000. The County Citizen Services Unit and the American Red Cross are assisting 2 other residents from the townhouse of origin that are now displaced. The deceased occupant has been identified as Doris Miller, 84 years-of-age, of District Heights. The National Weather Service has issued a Flood Watch for Prince George's County starting this evening and through Sunday. If you must drive be aware that any road could incur flash flooding. We have also included flood safety tips for you to review with family, friends and co-workers. Remember to Stay Informed by monitoring local media. Stay Ready by having a Emergency Kit stocked and available and Stay Safe. * From this evening through Sunday evening. heavy rainfall from this evening through Sunday evening. localized amounts over 2.5 inches possible. * Heavy rain may lead to flooding of streams and some rivers. be prepared to take action should flooding develop. This type of rainfall could lead to Flash Floods. Flash floods occur within a few minutes or hours of excessive rainfall or a dam failure. Flooding is a longer-term event and may last a week or more. Most flash flooding is caused by (1) slow-moving thunderstorms, (2) thunder-storms repeatedly moving over the same area or (3) heavy rains from hurricanes and tropical storms. Flash floods can roll boulders, tear out trees, and destroy buildings and bridges. Densely populated areas have a high risk for flash floods. The construction of buildings, highways, driveways, and parking lots increases runoff by reducing the amount of rain absorbed by the ground. Water can erode the roadbed creating unsafe driving conditions. Many flash floods occur at night when flooded roads are hard to see. 2 feet of water will float your car, truck or SUV!!! 6 inches of fast-moving floodwater can knock you off your feet. Nearly half of all flash flood fatalities are auto related. If your car stalls, leave it and seek higher ground, if you can do so safely. Underpasses can fill rapidly with water, while the adjacent roadway remains clear. Driving into a flooded underpass can quickly put you in 5-6 feet of water. Never try to walk, swim, or drive through swift-moving floodwater. Remember, 2 feet of water will float your vehicle and 6 inches of fast moving floodwater can knock you off your feet. If you come upon floodwaters, STOP, TURN AROUND AND GO ANOTHER WAY!! Do not attempt to drive through a flooded road. The Prince George's County, Maryland, Fire/Emergency Medical Services Department were proud to be represented in the Badges and Ladders Basketball Tournament. 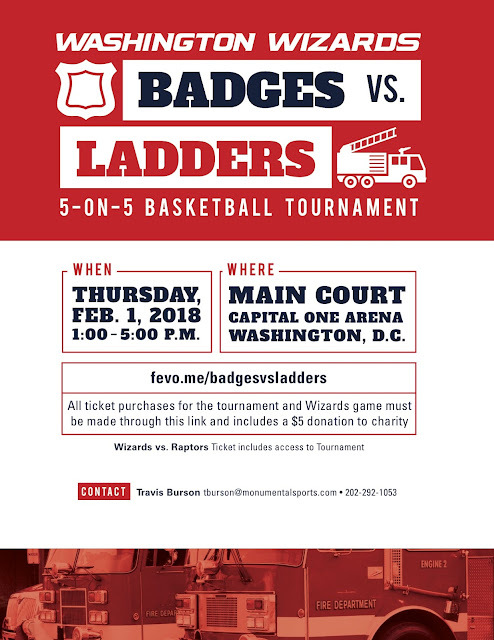 The tournament was held on February 1, 2018 at the Capital One Arena, home court of the NBA Washington Wizards Basketball Team. While the results were not what we had hoped for the Department can stand tall as a result of the enthusiasm, sportsmanship and skills demonstrated by Team PGFD. Fire Chief Ben Barksdale enthusiastically endorsed the teams entry into the tournament by saying, "Approved as requested. Lets get another win!!" 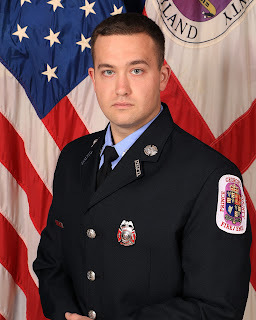 Many thanks to IAFF Local 1619 for their support in meeting entry demands and to Teresa Crisman for handling the paperwork and taking the pictures of TEAM PGFD in action. Deputy Fire Chief Tiffany Green and Captain Aaron White were on hand to cheer the team on!!! Deputy Fire Chief Tiffany Green and Captain Aaron White were on hand to cheer the team on!! !